The upside of living in Central Pennsylvania is that it's within driving distance of so many destinations. The downside is that the winters sometimes seem interminable, which leaves a six-month window to sightsee, unless you feel like contending with Mother Nature pitching a fit and stomping all over the best-laid plans. It doesn't help that most museums and other attractions are open from May through October. When you factor in the weekly obligations that often take precedence over wayfaring, you start to realize just how precious those free weekends are. This past Saturday I was able to find time to visit the Lewisburg area. I had to return home Sunday morning for a graduation party, so I fit in everything I could during my short, but substantive stay. What first attracted me to the small town was the annual icefest held in February--a delightful celebration intended to boost business and at the same time nudge us over that winter-doldrum hump. You can read more about it here in an article written by my friend Tricia Kline. When I laid eyes on the cute shops, elegant B&Bs, attractive neighborhoods and diverse restaurants, I knew a return visit was in order. I scheduled my visit during Memorial Day weekend, when I knew the town wouldn't be quite so busy. Students had graduated the week before and fighting the crowds wasn't an issue this time. The Lewisburg Hotel, once known as the Kline's Hotel, has the distinction of being the longest-lived hotel in the area. 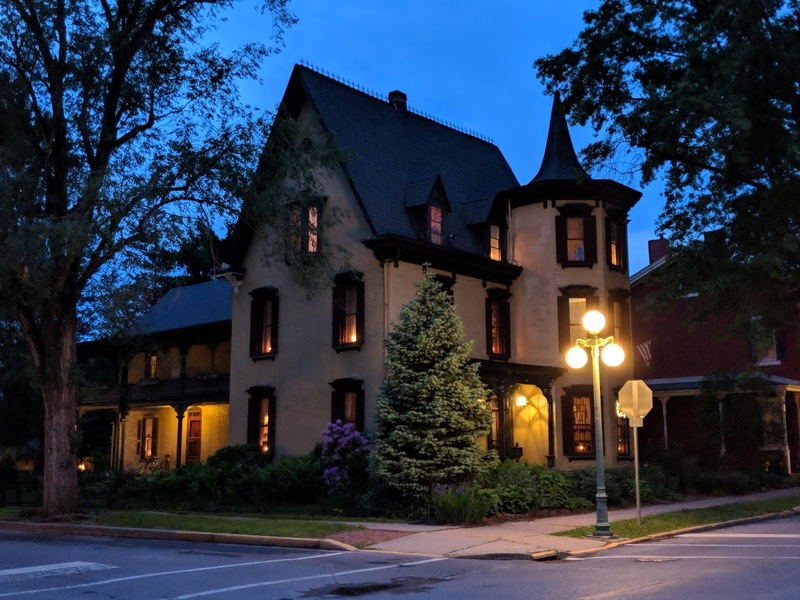 Dating back to 1834, its proximity to the Pennsylvania Canal, the Old East-West Turnpike and two major railroads, made it a convenient stop for generations of travelers. By 1992, the weathered mainstay was feeling its age. It was clear to observers that the well-worn destination with the good bones was overdue for a renovation, so in stepped Norman and Nancy Buck to help bring it back to its former glory. In 1997, the hotel reopened and today is owned and operated by Dale Walize, who has been with the hotel for many years. Walize took over operations in November, after Norm's sudden passing. Walize knew Norm well and said that part of his vision was to bring the historic hotel back to the way it appeared in the days of yore. Walking into the lobby is like stepping back in time when craftsman used woodwork as an eye-catching focal point. Guests can't help but be impressed with the attractive coffered ceilings, the original check-in desk and the tall wooden phone booth that is situated in the corner and an oft-discussed conversation piece. As for the elevator--I've decided against spoiling the surprise. Let's just say that the Lewisburg Hotel put the elegance in elevator. If you visit, be sure to check it out. Over the years, the hotel has seen its share of august dignitaries. In addition to being home to the first president of The Victorian University of Lewisburg, (later known as Bucknell), every Pennsylvania governor from 1831-1901 was said to have been a guest at one time or another (and not always in August). Today the business serves the community as a meeting place, hotel, motel and bar. Guests can choose from casual dining in the Cameron Bar, or fine dining with a side of Victorian ambiance in the Governor's room located on the first floor. Take a peak behind the elevator doors when you visit. The patio outside features live music during the warmer months and Tuesday's "Grillin' and Chillin' on the Patio" is an area favorite. Before you leave the building, be sure to take a look across the street where you'll see another handsome, old structure by the name of the Lewisburg Club. The Lewisburg Club started out as a simple, brick residence built sometime between 1800 and 1814. The building was later sold to Rebecca and Joseph Nesbit who are responsible for transforming it into the beautiful brownstone you see in the picture, done in the Richardsonian Romanesque style. In 1911, the couple sold it to the Lewisburg Club, which continues to use it for community activities. Our second stop was to check in at the beautiful Copper Beech Manor, named for a Rohan Copper Beech tree located at the rear of the property known to be approximately 125 years old. 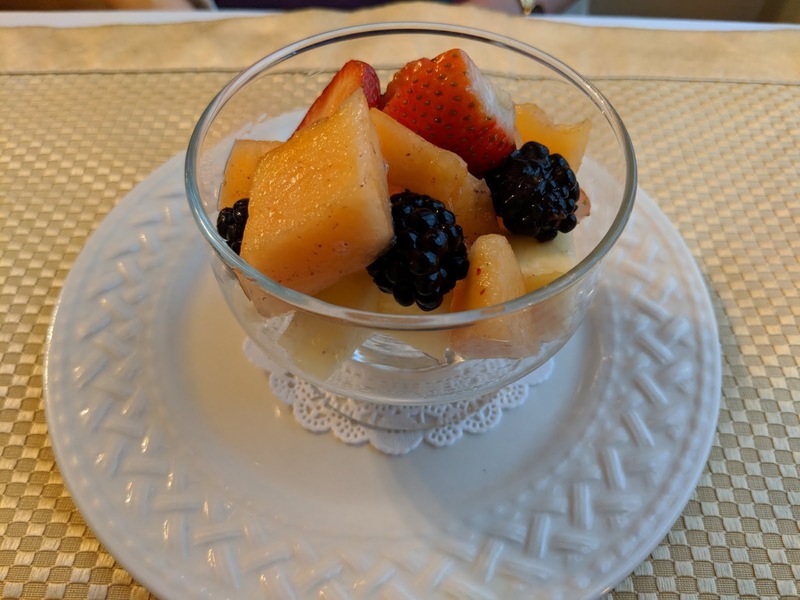 Owners Linda and Bill Petry lovingly care for the Federal Style Manor, which dates back to 1857 and was built by Jonathan Nesbit, who also built the First Presbyterian church (located across the street) and Christ's Lutheran church, located on Third Street. In 1861, Nesbit built an addition on the house and according to local lore, a hidden room on the third floor sheltered slaves on their way to freedom on the Underground Railroad. The home has four, original working fireplaces that have been converted to gas and four large, first-floor public rooms. Breakfast is served every morning. A beautiful, winding staircase leads guests to five, comfortable guest rooms located on the second floor. Our cheery room was not only comfortable, but quiet and conducive to a good night's sleep. Bill and Linda spent many hours renovating the house and they recount the story of their journey in a book they've made available to guests, so be on the lookout for that as well. The hospitable couple are warm, welcoming and eager to assist visitors in making the most of their visit to Lewisburg. At the end of the evening, many guests take the opportunity to relax in a lovely sitting area in view of a Koi pond to enjoy the tranquil surroundings. 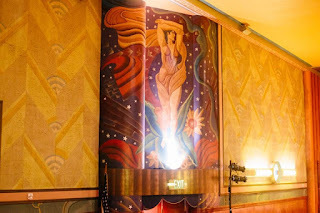 Art Deco became all the rage just before World War I. Representing glamour and modernism, it influenced the design of everything from architecture to fashion and furniture. The Campus Theatre, which debuted in 1941, was done in the popular style that began to wane with the onset of WWII. 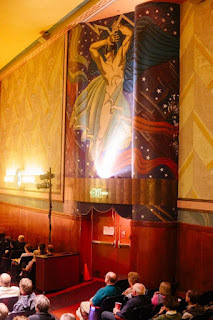 Shortly after the Campus Theatre was designed, it could be said that the once-popular style was falling out of fashion. Today the theatre is appreciated and treasured as one of the few remaining art-deco movie houses in the country. Situated at 413 Market Street, the Campus Theatre was designed by Philadelphia architect David Supowitz and built by a Russian immigrant by the name of Oscar Stiefel. Oscar opened his first movie theatre in Philadelphia and soon business was booming, so he enlisted his brothers Harold, Barney and Morris to lend a hand. The Stiefel brothers would eventually operate 11 theatres in Pennsylvania. Those closer to South Central Pennsylvania may be interested to learn that Steifel owned The Roxy in Ephrata, which was destroyed by fire in 1955. In 1953, Morris' son Harold Stiefel took over the Lewisburg theatre and managed it with his wife Jacquie until he passed in 1988. The couple was dedicated to the Lewisburg community and are greatly missed. Many of their outreach programs exist to this day. 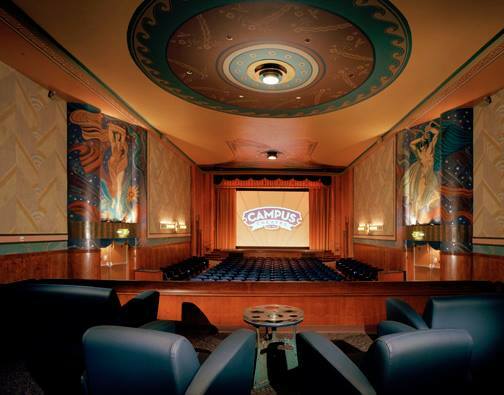 In 2001, the Campus Theatre transitioned into a non-profit organization and in 2004 underwent a major restoration. "The Jewel of Market Street" partnered with nearby Bucknell University in 2011, when the college assumed ownership of the building. Both entities are dedicated to preserving and promoting this historic landmark. Free family films are shown every Tuesday during the summer and on Saturday the BYOB night draws quite the crowd. To learn more about what's playing and when, click on the monthly schedule here. Marc Williams Goldsmith has been creating handcrafted jewelry for more than 35 years. There's no dearth of shopping opportunities in Lewisburg, from ladies fashions and accessories, to antiques and more. Some old mainstays are housed in buildings with mid-century modern charm (like the one above), while others tout more contemporary storefronts and cater to the college crowd offering a selection of the latest styles and apparel. "The Famous Street of Shops" at 100 North Water Street is a favorite of shoppers both near and far. Once used as a woolen mill, it now touts 375 shops and a lower-level flea market. A restaurant located on the main floor offers customers the opportunity to grab a bite in between browsing. Not far away from the Street of Shops is the "Roller Mills Marketplace" located at 517 Saint Mary Street. Roller Mills dates back to 1883 and was originally constructed as a flour mill, with product that was sold under the brand name "Oriole." For the past 20 years, customers have been rising to the occasion to visit the business which spans three floors and 60,000 square feet. This little beauty will cost you $2800. Keep an eye out for my story in June 2018 issue in theburgnews.com and see what happened to a few Harrisburg horses. Heck, you can even shop for a cat in downtown Lewisburg. If I hadn't just adopted my second terrorist, err, kitten, I'd likely be heading home with one of these little cuties. Whether you're in the market, or not, for $5 an hour, the Scratching Post Cafe permits people to cuddle and play to their hearts content and perhaps find it in that heart to adopt one of these furry felines. And talk about coincidences--one of the very sweet and helpful staff members shares a name with me--her first name is Kalina, which is my maiden name. She informed me that the rather chubby girl in the last picture below has a reputation as being a bit of a treat hog. Did I mention that we managed to see a lot in one afternoon? By now it was time for dinner at Brasserie Louis, which, at 101 Market Street, was just a short walk from our B&B. 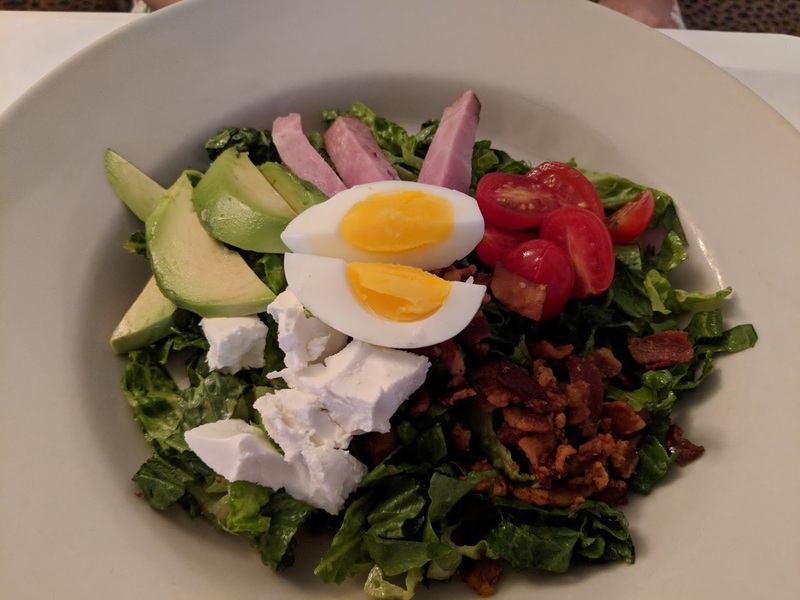 A delicious salad was the prelude to a wonderful selection of small plates at Brasserie Louis. Once again, we found ourselves admiring the old woodwork in yet another historic building. 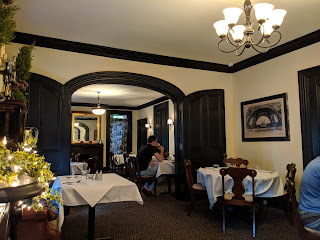 Brasserie Louis dates back to 1825 and once served as The Lewisburg Inn. It was the home of James Fleming Linn, whose two sons were authors and historians. The house was equipped with a water tank stored in the attic, which supplied the first running water in a home in Lewisburg. Today it serves the community as an attractive restaurant and tavern that features not only delicious food, but inventive libations. After dinner, consider relaxing with a Vesper (gin, vodka, lillet) in the inviting bar area (featuring more stunning woodwork). Chances are you'll have the opportunity to enjoy the talented vocals of local resident Billy Kelly. Before I wrap up this blog post, I will leave you with a few street views. I hope to publish a later post on a "Walking Tour of Lewisburg," with additional pictures and a few details on each building. Enjoy. Can you believe this is a police station? Neither could I.